I love this time of year. I know it’s a time of austerity on food, drink and light given that it’s January, but it’s film time! It’s the time of year where I watch 30 – 40 films and there is always magic. Some image, some exceptional performance, some compelling story that makes time stand still. Where being in the dark for that moment in time is like no other place in the world. 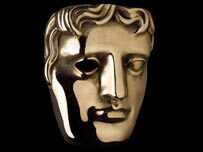 I am privileged to be a member of the British Academy of Film and Television Artists (BAFTA) and can’t help but get excited as the awards shows build momentum towards surprises, underdogs, glamour and Hollywood. There have been some stunning performances this year and already the surprises. A magical and wonderful black & white silent film with a charismatic dog, who would have predicted that? I love when I see a small film, made by a passionate director who doesn’t know that it’s not possible, because everything is possible. A new survey done in Britain by LoveFiLM and Dr Tomas Chamorro-Premuzic, an international authority in personality and psychological profiling, even suggests that the more films you watch, the more happy and successful you are. I guess it proves that some escapism is good for the soul. Neil White lives in the north of England and last year decided to see every film released in Britain in 2011. Over 600 films. Even if a film is only screened for 3 days in a far corner of the British Isles, he goes. His Every Film In 2011 blog with an unbiased and down to earth review on each film is refreshing. I admire people who undertake a journey and see it through, enjoying where it leads. He now gets over 75,000 views per month to his blog and is doing it again in 2012 because the experience has been so memorable and presumably, as the survey says, because it makes him happier. This reminds me of Julie Powell who decided to cook every recipe in Julia Child’s Mastering the Art of French Cooking and then blog about it. What a wonderful film about entrepreneurship and the brilliant iconic person of Julia Child who changed history. I will stop writing now so I can watch a film. This entry was posted in Film and tagged BAFTA, cinema, film. Bookmark the permalink.